Fri., March 23, 2018, 9:58 a.m.
Apple is preparing to introduce new low-cost iPads and education software next week in a bid to win back students and teachers from Google and Microsoft. In its first major product event of the year, Apple will return to its roots in the education market. The event on Tuesday at Lane Technical College Prep High School in Chicago will mark the first time Apple has held a product launch geared toward education since 2012 when it unveiled a tool for designing e-books for the iPad. It’s also a rare occasion for an Apple confab outside its home state of California. 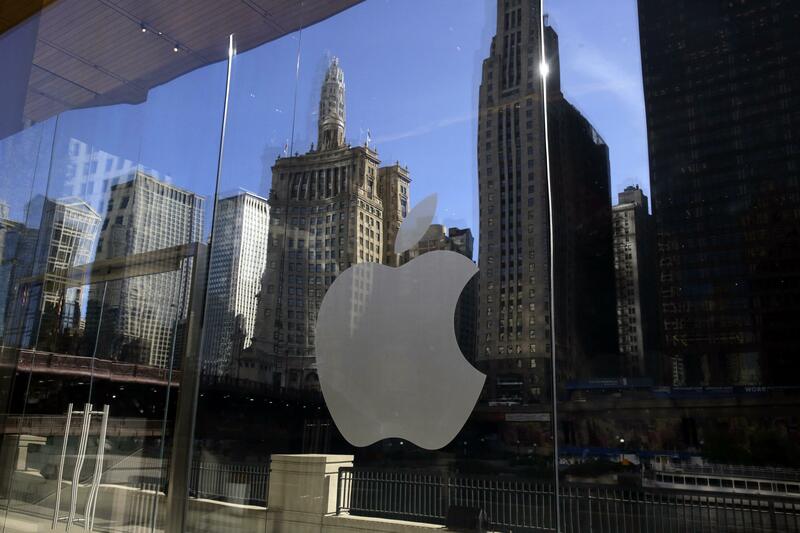 In Chicago, the world’s most-valuable technology company plans to show off a new version of its cheapest iPad that should appeal to the education market, said people familiar with the matter. The company will also showcase new software for the classroom, said the people, who asked not to be identified discussing private plans. Apple declined to comment. Apple accounted for 17 percent of mobile computing shipments to American students in kindergarten through high school, according to data from the third quarter published by Futuresource Consulting. Devices running Google’s operating systems on Chromebooks or Android tablets held 60 percent of the market, and Windows PCs had 22 percent. While Macs and iPads make up less than 20 percent of Apple’s sales combined, students and teachers are a key market to drive future purchases. A new, cheaper MacBook laptop is in the works and likely destined to replace the MacBook Air at a price less than $1,000, but it probably won’t be ready in time for next week, the people said. The MacBook Air, introduced about a decade ago, hasn’t seen a major change since 2010, the same year the iPad came out. Although the laptop is popular with college students, it has languished as Apple focuses on more expensive Macs. Rival laptops have made inroads into the education market lately, a field that originally helped Apple make its name. The sector is prized among industry giants because students learn to use a certain type of device, then head into the workforce and spread the technology wider. With a recent advertising onslaught, Apple is hoping to capture more young minds with the iPad. The company has revised its tablet strategy over the years by releasing different versions at a variety of price points. That’s helped the iPad business return to growth after multiple declining quarters. Still, demand for tablets is weak. According to research firm IDC, the market shrank by about 7 percent in 2017. Apple grew 3 percent last year and leads the industry with about a quarter of the market. Apple currently offers a slew of different education-related software. The company’s Classroom app for the iPad lets teachers manage Apple devices that are assigned to students for their classwork. There’s also an iTunes U app that lets teachers issue homework, grade assignments and post lessons online. It also lets students complete assignments and take tests. The company offers a software coding curriculum via the Swift Playgrounds app and sells interactive textbooks through its e-book store. More software is coming. Apple is working on a new version of the iBooks app that’s more in line with the design of the App Store, though it’s unclear if it’ll be shown next week, people familiar with the project have said. In an invitation to the Chicago event, Apple said it will introduce “creative new ideas for teachers and students.” Having a venue where attendees can see the new technology in action inside a classroom would be a sound strategy for a company that focuses its announcements on live demonstrations. Next week’s event will also provide an opportunity for Apple to boast about the work it’s doing with Chicago schools. In December, the company partnered with the city’s public school system and City Colleges of Chicago on a coding curriculum for thousands of local students. Apple has also discussed additional education-related programs with the city, people familiar with the talks said. According to Apple’s website, the school where the event will take place is not an “Apple Distinguished School,” a designation given to institutions with curriculum that uses Apple products and provides iPads to all students. Apple has tried citywide iPad deals for students in the past, with little success. In 2013, the Los Angeles Unified School District said it would spend $30 million to provide some students with iPads. The deal was expected to become a $1.3 billion initiative to give every student in the district an iPad, but it fell apart. Such a deal won’t be announced with Chicago next week, people familiar with the plans said. But the city could see more of Apple in the future. According to a recent Bloomberg analysis, the company could be eyeing the Midwest for a major new office. Published: March 23, 2018, 9:58 a.m.